Talk to the hand has a new meaning. The fusion of Bluetooth and apparel has taken a new step. 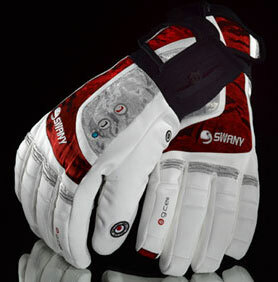 Glove maker Swany has matched up with Texsys to bring you G-CELL. This is the bluetooth cellular glove of the future. This glove has a microphone/speaker, call and end buttons, vibrate, and flashing call indicator. Cost and availability is unknown so far. Stay tuned.